A Vanderbilt University Medical Centerstudy published today in JAMA shows that patients already at higher risk for gastrointestinal bleeding gain a marked protection from this risk when they take a proton pump inhibitor in combination with an oral anticoagulant. Mayo Clinic researchers have found that an oral drug, apixaban, used to treat blood clots in patients undergoing cancer therapy, is safe and effective. In the current issue of Cardiovascular Innovations and Applications (Volume3,Number 2, 2018, pp. 215-226(12); DOI: https://doi.org/10.15212/CVIA.2017.0033 Chang-Sheng Ma from the Department of Cardiology, Beijing AnZhen Hospital, Capital Medical University, Beijing, China considers the use of direct oral anticoagulants for prevention of stroke and systemic embolic events in East Asian patients with nonvalvular atrial fibrillation. New drugs known as direct oral anticoagulants used to treat serious blood clots are associated with reduced risks of major bleeding compared with the older anti-clotting drug, warfarin, finds a study in The BMJ today. People with irregular heartbeat due to a condition called atrial fibrillation, are often prescribed blood thinners to reduce the risk of blood clots that can cause a stroke. It may be possible to disrupt harmful blood clots in people at risk for heart attack or stroke without increasing their risk of bleeding, according to a new study published in Nature Communications. 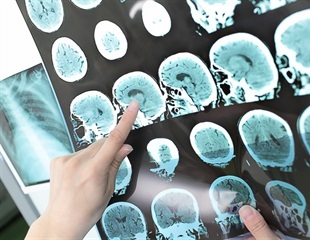 A new study has found that dementia rates increase when anticoagulation treatment is delayed for patients with atrial fibrillation, the most common heart arrhythmia in the world that affects more than 2.7 million American adults. New research suggests that an alternative to warfarin, when given at a low dose to dialysis patients, can be maintained in the blood at safe levels for potentially preventing strokes. Case Western Reserve University researchers have developed a portable sensor that can assess the clotting ability of a person's blood 95 times faster than current methods—using only a single drop of blood. A recent study from University of Alabama at Birmingham researchers published in PLOS ONE compares different available treatments for stroke prevention in patients with non-valvular atrial fibrillation. A specially designed antidote to reverse acute, potentially life-threatening anticoagulant-related bleeding worked quickly, and was well-tolerated according to interim results of the ongoing ANNEXA-4 study. The new oral anticoagulants provide the same stroke prevention as warfarin but cause less intracranial bleeding, reports an observational study in more than 43 000 patients presented at ESC Congress 2016 today by Dr Laila Staerk, a research fellow at Herlev and Gentofte University Hospital, Denmark. Real-world study data from Denmark show that non-vitamin K antagonist oral anticoagulants are effective alternatives to warfarin in patients with non-valvular atrial fibrillation in a routine care setting. The superiority of apixaban over warfarin in patients with atrial fibrillation is maintained in those taking multiple medications, shows further analysis of the ARISTOTLE trial. Patients with atrial fibrillation and declining renal function are at increased risk of subsequent stroke or systemic embolism, major bleeding and death, US researchers report. A new generation of blood thinners can reduce the risk of stroke in patients with atrial fibrillation, without requiring frequent monitoring and dietary restrictions.